[T]hose people who must want to rule people are, ipso facto, those least suited to do it. This is how writer Douglas Adams neatly expressed the common view of political ambition. And yet, it’s hard to imagine any politician getting far without it. 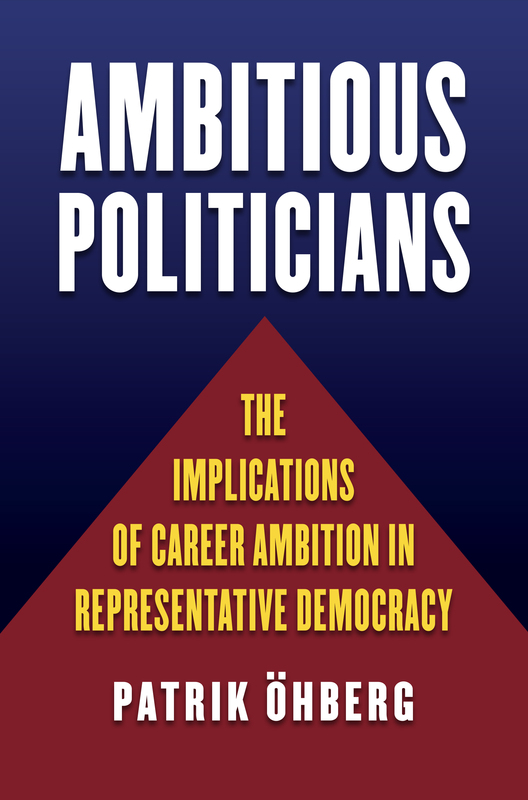 Ambitious Politicians brings a welcome study and insight to this conundrum. Focusing first on the party-centered politics of European democracies, where career ambitions are necessarily different than those in the United States, Patrik Öhberg looks closely at what motivates those aiming at the highest level of the political hierarchy, how these motivators differ between more and less equalitarian societies, and how such ambitions play out. His book, which draws upon a uniquely extensive survey conducted by the Swedish National Election Study Program, is the first thorough study of elite politicians who aspire to the top echelons of the parliamentary system. Politicians with career ambitions have a distinct idea of representation, Öhberg finds; they display a higher degree of political self-regard and are more responsive to the wishes of the party elite in developing strategies. These findings vary among European democracies, and they differ from the traits and trajectories of political ambition in the United States. By identifying the subtleties and charting the differences, Öhberg offers a valuable lesson on whether and how representative democracies are served by politicians driven by personal ambition, or by those subverting such ambitions to the needs of party or state. Ambition, this timely book reminds us, has been crucial for political thinkers from Aristotle through the Founding Fathers to the latest candidate for higher office. Informed by history and social science theory, and grounded in a wealth of data, Ambitious Politicians expands our understanding of the important and changing role of such ambition in collective decision-making in our day. Patrik Öhberg is associate professor in the Department of Political Science at the University of Gothenburg.